you are Invited As "His bride"
Don’t forget to bring your bibles. 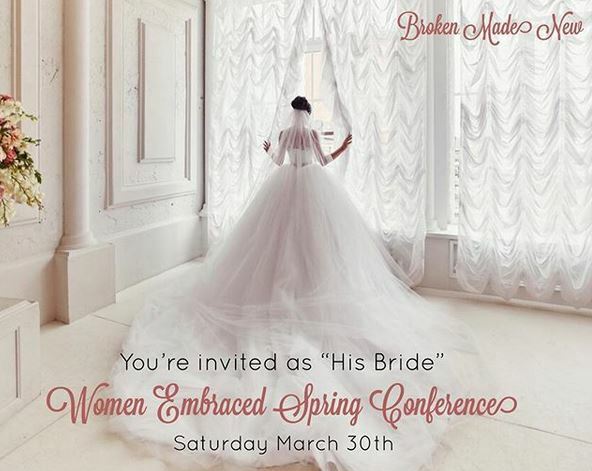 This is event is put on by Women Embraced and Broken Made New Conference. Click below to register.